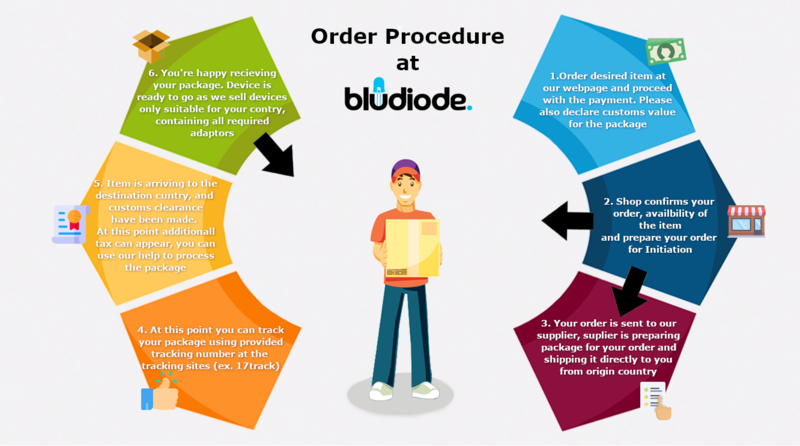 LG V30+ H930DS Dual Sim 128GB LTE (Black) Non B&O :: Bludiode.com - make Your world! Pixels that do the impression. Revolutionary LG OLED display provides excellent color rendition and plastic provides większÄ flexibility. 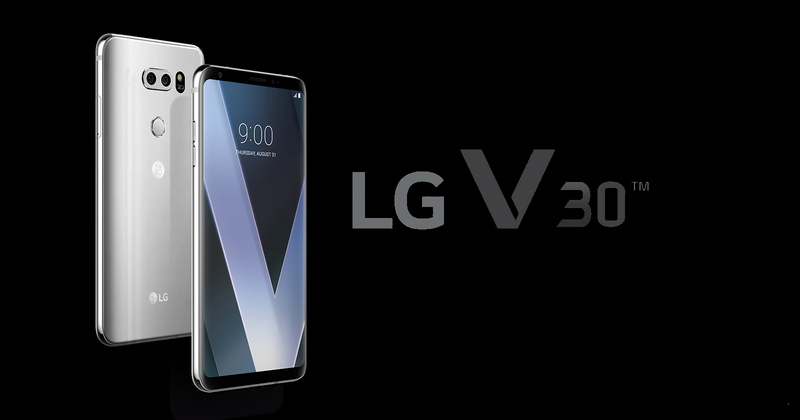 Thanks to the technology of FullVision 6-inch Smartphone LG V30 is a real treat. Let more light to make even clearer pictures. Glass lens F1, 6 Smartphone LG V30 dramatically improves dynamic range and the quality of the pictures taken in low light. Do the perfect shot every time. Capture it as a professional film. Cine mode Video provides more vivid colors and greater dynamic range, as in a real movie. 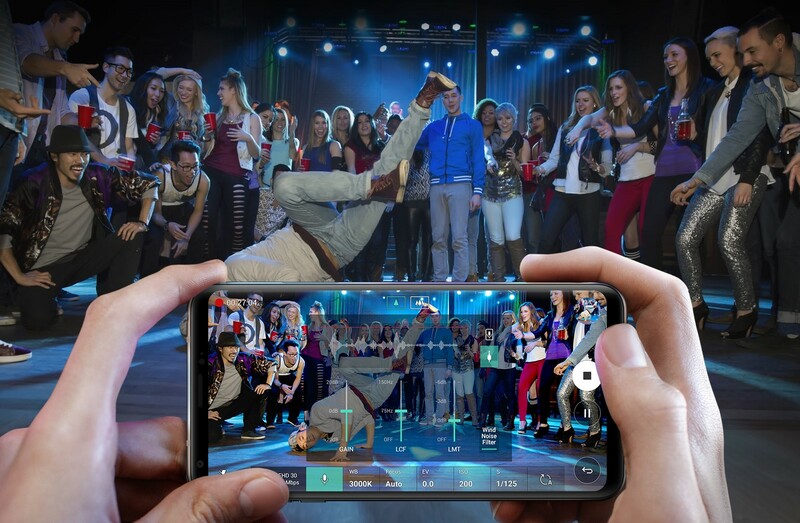 In addition, the profile LG-Cine LOG to to create a dramatic movie styles that you can use to record a real motion picture hits. Lights, camera, close-up! Set the zoom speed, location and movement to get the effect as from the movies. Function Point Zoom płynnÄ control will allow you to shoot as the operator of Hollywood. * Only the standard lens. Follow the fantastic wide shots with less distortion by zaokrÄ gleniach. 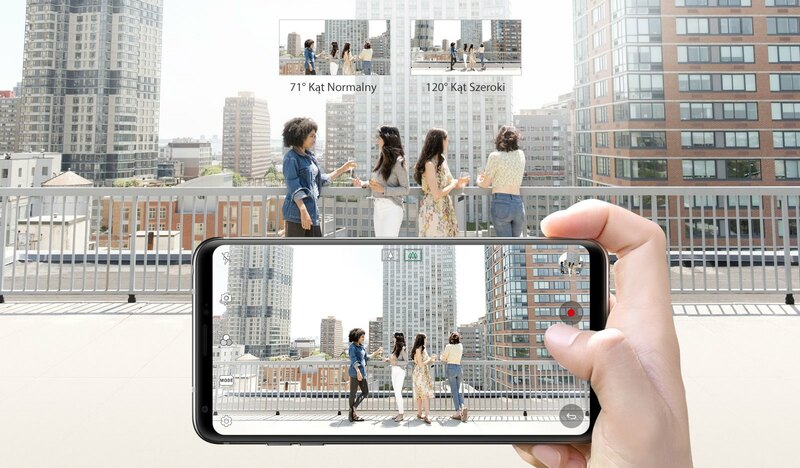 Dual rear camera is equipped with a lens 16MP and wide angle lens tny lens perfect for group shots and making 13MP shooting landscapes. 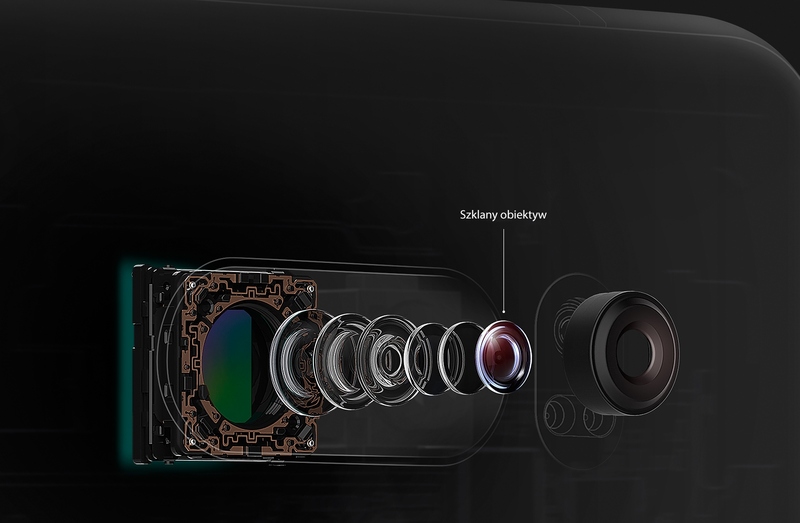 In turn, the front-facing camera 5MP camera with a lens cover on selfies all people. Record of impeccable quality sound wherever you are! 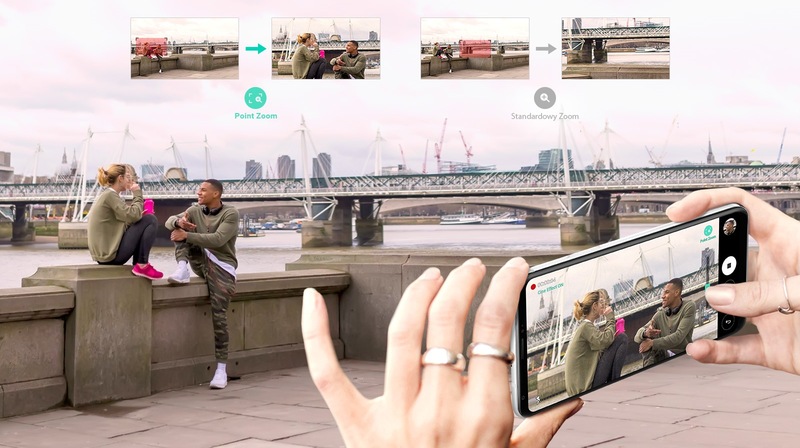 Directional Receiver Smartphone LG V30 you can use as a high-quality microphone for recording sound quality without distortion even when recording in noise. Feel like a private concert. 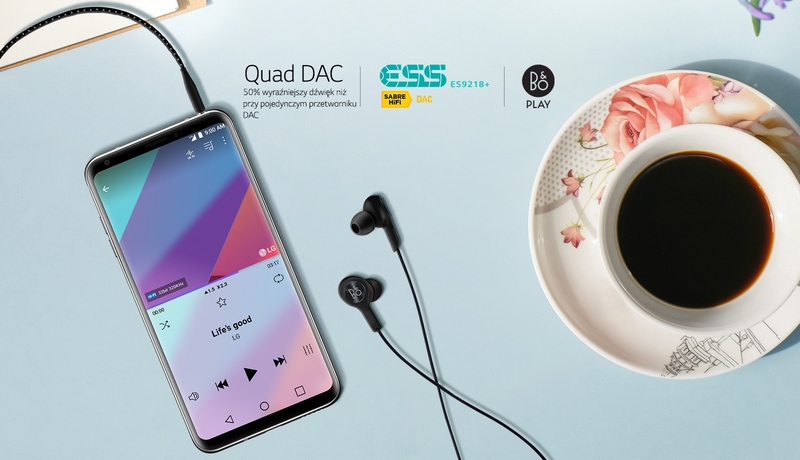 Used in the Smartphone LG V30 high quality Quad Hi-Fi transducer provides a sound that wealth and kompletnościÄ match the sound quality on the show. 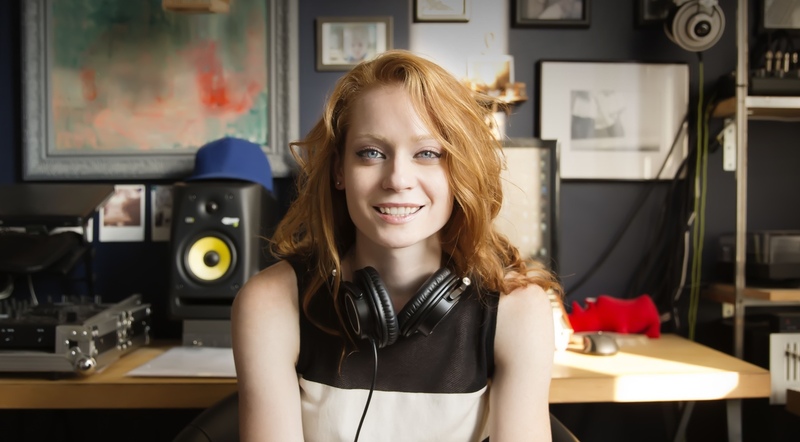 Don't miss a single crystal clear audio, odtwarzajÄ c files in lossless format. Play sound in studio quality without having to study. 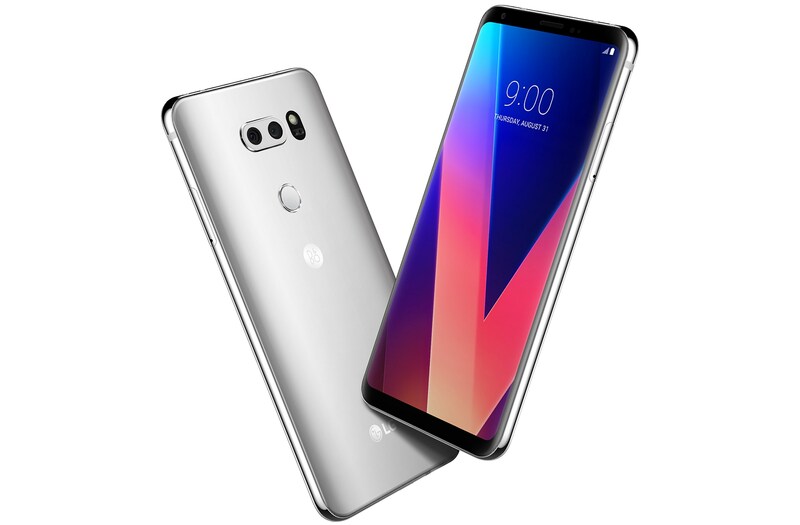 Built into the LG V30 technology Master Quality Authenticated (MQA) is another breakthrough in the field of mobile music. Enjoy an incredibly sound fidelity, while using (c) with the convenience of a portable library. The MQA is an award-winning British technology for CA the same sound as the original recording. The main file MQA is fully certified and possess sufficient What small, so you can stream and download from the Internet. ** The availability of MQA in some countries may be limited. Fine tune the music to your liking. 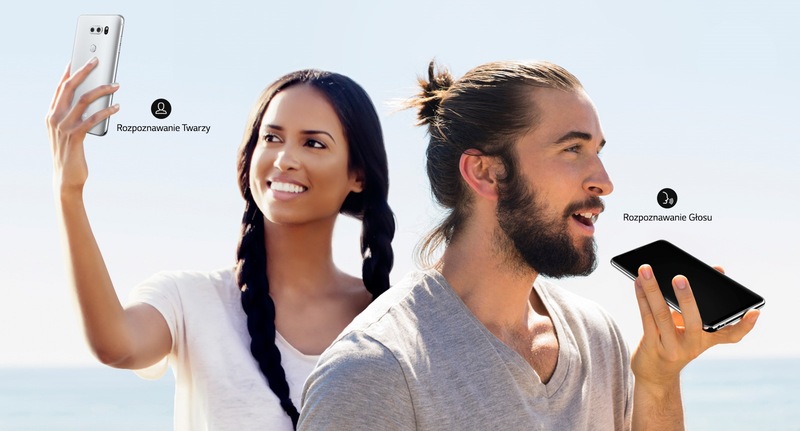 Preset audio and digital filters LG use playing songs professional sound, so you can enjoy bogatszÄ and pełniejszÄ her music at home and on the go. 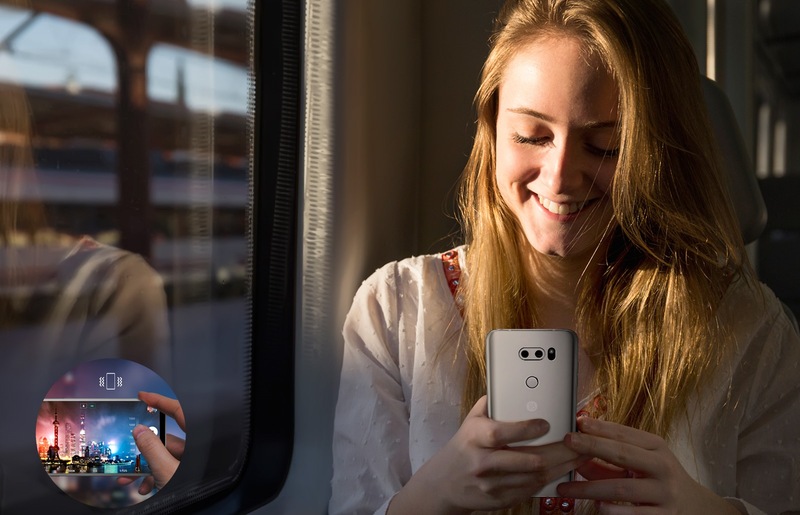 Improved face recognition technology in your Smartphone LG V30 facilitates unlocking the device , eliminujÄ (c) the need to draw the finger and typing codes. In addition, improved voice recognition technology can react only to your voice, ułatwiajÄ (c) the same Google Assistant work. 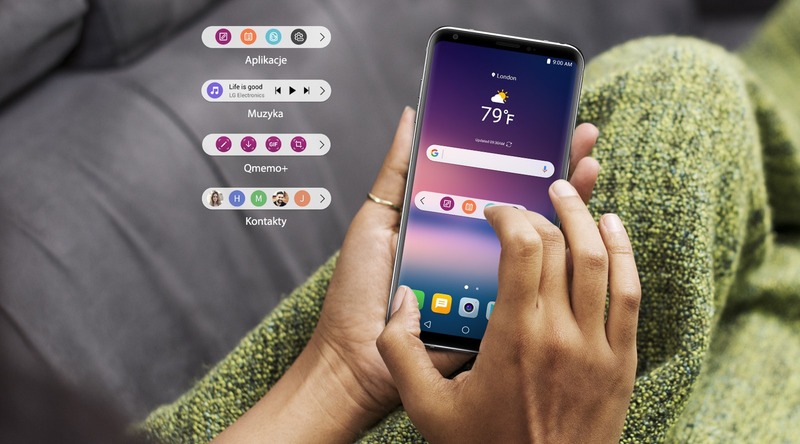 LG Smartphone V30 not only recognizes the voice, but also listens for 3-5 sylabowych keywords, if necessary, automatically unlock. DziałajÄ CA technology Qualcomm Aqstic voice UI function remains at the ready, yet consumes very little power. 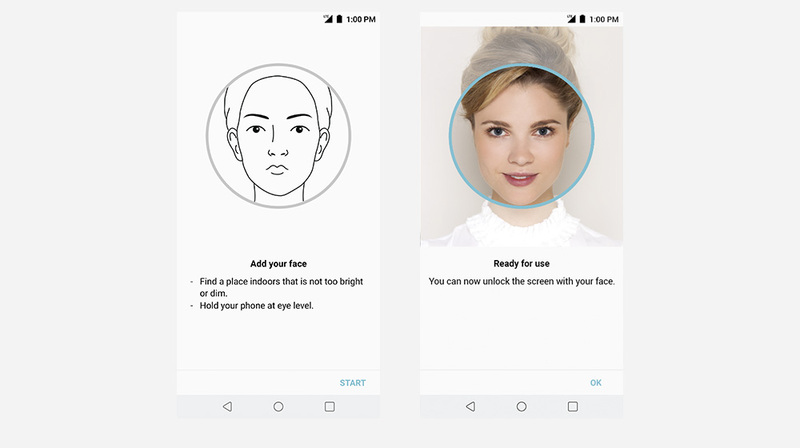 LG Smartphone V30 quickly recognizes the partnership his face even at wyłÄ When the screen. To unlock your phone, you do not need to press the power button-just look at the lens front camera. 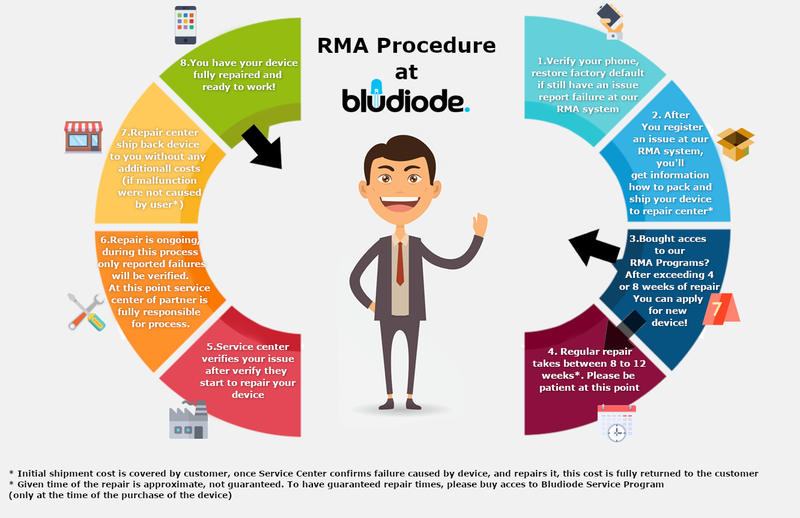 Better control and availability. PływajÄ CY "Floating Bar" are the most important features in a convenient place, not rozpraszajÄ CE marking. 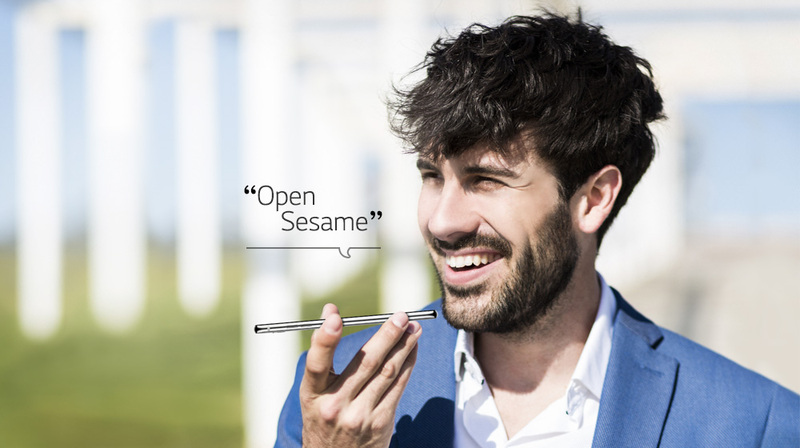 Select your favourite applications, set the bar, where you want and instantly włÄ including music, notifications, contacts and much more. Greater accuracy thanks to the sense of touch. The function of Emotional Haptic turns shopping, fine tuning the camera and receive notifications in a sensual experience. 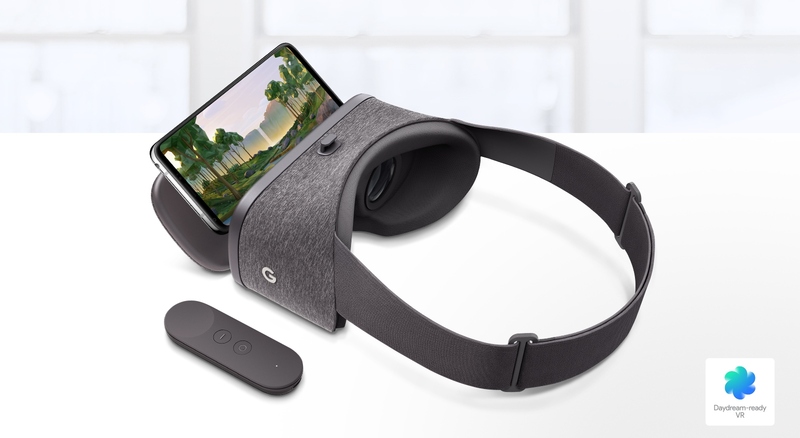 LG V30 is the first phone wspierajÄ CY LG Google Daydream. 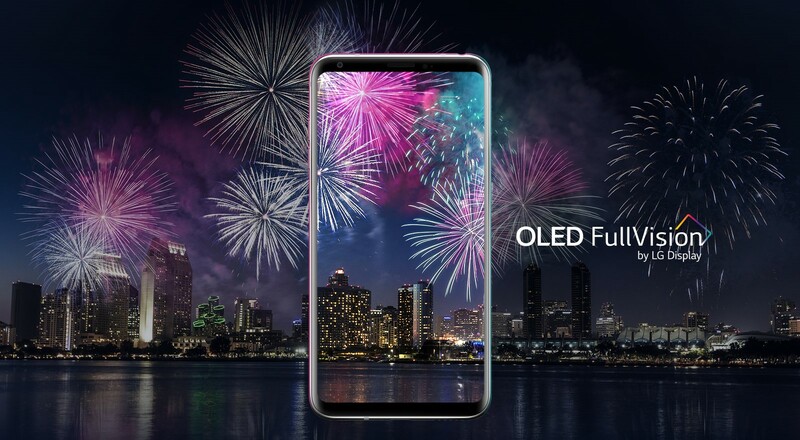 This technology in połÄ with 6-inch OLED display FullVision will allow you to immerse yourself in the virtual world of games, movies and video clips. Play Movies/Google Docs ™, etc.